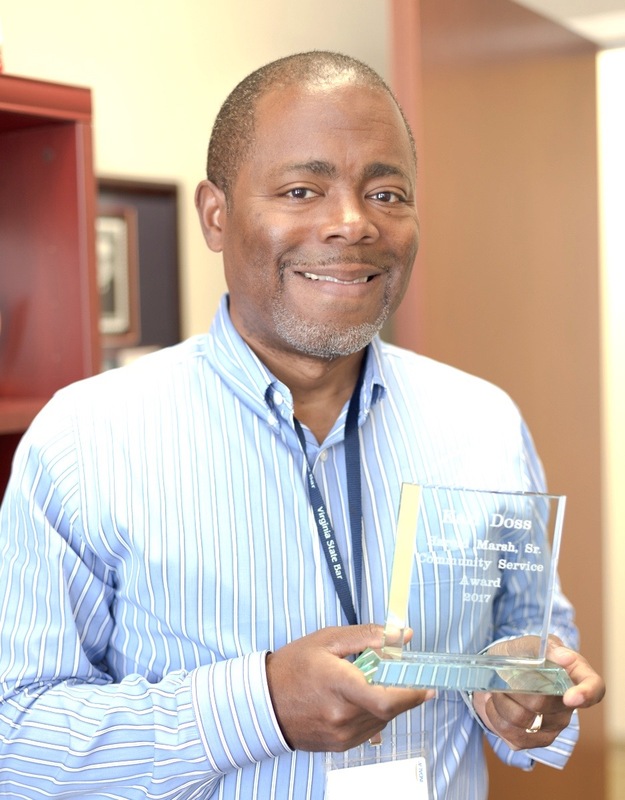 Karl A. Doss, Director of the Virginia State Bar’s Access to Legal Services, has been named the 2017 recipient of the Harold Marsh Sr. Community Service Award by the Old Dominion Bar Association. Has demonstrated dedication to the development and/or delivery of pro bono and voluntary legal services to the poor. VSB Executive Director Karen A. Gould noted that since joining the VSB in 2013, Doss has worked to advance the availability and quality of legal services and to improve the legal profession and judicial system. He has strengthened ties between the bar and the legal aid and access to justice community. In fostering these key relationships, he has successfully integrated the bar’s access to legal services efforts with those of other organizations, including the Access to Justice Commission. Through ongoing dialogue, Doss and the access stakeholders identify and pursue access goals and prioritize initiatives. Doss spearheaded and serves as the VSB’s administrator for Virginia.freelegalanswers.org, part of the ABA multi-state initiative to provide online pro bono civil legal assistance to Virginia residents with qualifying income levels. His investment in the site’s success and his advocacy and enthusiasm encourage Virginia’s lawyers throughout the state to lend pro bono assistance in a more convenient and novel way that mutually benefits the profession and public.